I am an early adopter of new hardware, but I am not insane. I like to wait while other people buy and use the gadget for a while. Then I like to test their gadget, and during that time, I ask myself over and over, if I owned it, would I use it? If the answer is yes, then I buy it. If you are not sure if you will use a new device, DON'T BUY IT no matter how cool it is - you will live to regret it. 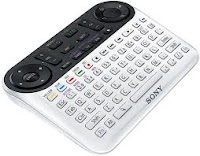 An example of a colossal fail, (for which I bear zero responsibility,) is the purchase of a Sony Google Internet TV. It sits virtually completely unused, except when my teenage daughter inexplicably listens to Frank Sinatra while making cookies from frozen dough. This sad tale began when we needed a replacement TV for the kitchen. My husband and teenage son came home from an exploratory mission to Best Buy, (a den of iniquity if there ever was one,) having ever so briefly demoed a Google TV and claiming "It's so cool - we must get this." At that time, I did not know a single person who possessed this piece of equipment. "Why do we need this? ", I asked. "Because you can go on the Internet." "But I have an iPad, I can go on the Internet any time, anywhere," I answered. "Because you can go on YouTube." "But I have an iPad"
"I don't think l I am going to enjoy watching "Avatar" on a 13 inch screen, while standing in the kitchen." Of course they bought it anyway. When they brought it home, I warned that one of them - not me - needed to become proficient in the use of the Google TV. As of this date - and 5 months have passed - no one in my house fully understands how to operate the Google TV. 99% of the time, when I go to the kitchen and want to watch TV, it doesn't work. It's stuck on the Internet (don't need that, I have an iPad.) Inevitably, I miss the end of the Big Game, the photos of Congressman Wiener's wiener, the announcement that the world is coming to an end, and other programs I would be happy to watch on a good old TV. Even one with rabbit ears and tin foil like we had in the late 60's. Even one with rabbit ears, tin foil, and no color like we had in the early 60's. So until, I sell the f***ing Google TV at our next yard sale, or throw it out the window, (I can barely control the impulse as I write this,) if you smell something good in my house, go to the kitchen, have a cookie, and listen to Frank. That is the ONLY time the Google TV is in use.